This integration will allow you to connect with Intercom and start collecting your data. It is a matter of minutes to send your data to feed your BI, your data warehouse, or your custom analytics stack. 2. 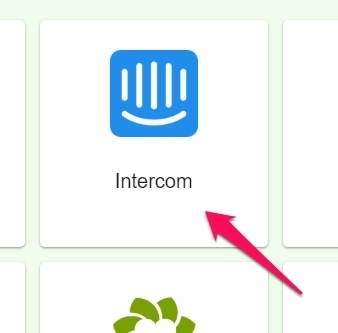 Click on Intercom icon. 3. In the new Setup your Intercom source screen, click on Connect with Intercom. 4. In the new pop up you will be prompted to allow Blendo to connect to Intercom. Click Connect. 5. At the next page see if everything is OK. Add a Table Prefix if you want and click Next. 7. Then you will return back to the home dashboard. Click on your new Intercom data pipeline. This configuration controls how often Blendo will pull data from your Intercom integration. Loading to your data warehouse could take a little bit longer. When Blendo first connects to Intercom Data source, will pull all your historical data. Blendo syncs Intercom data based on the schedule and frequency you choose. The default setting is every 1 hour but is configurable from inside the app. The first time Blendo syncs your Intercom data performs a full replication. Then your Intercom data is replicated incrementally. Note that Blendo will only read your data. After you finish the integration with Intercom, you might see its status as Importing from source, Exporting to the destination, or Completed. What Intercom data do I have available? 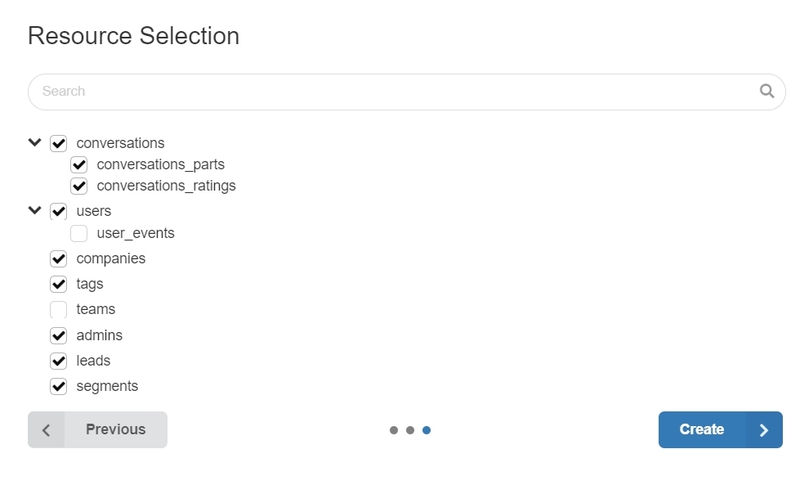 Blendo creates a table for an object in Intercom API in your data warehouse and the object’s fields are its columns. In the next array you will see a sample of the tables we replicate from Intercom. If you want the full schema information please consult the csv in the link below. Admins admins The table contains information about the Admin and Teams in Intercom. Companies companies Companies represent organizations using your product. This table holds information about these companies in Intercom. Due to a limitation of the Intercom API, we can import only the first 10k companies, ordered by Intercom default API ordering. Read more here. Conversations conversations This table has information about the conversations with users in Intercom. Conversations parts conversations_parts This table has information about the elements of conversations called conversation parts. Conversations ratings conversations_ratings This table has information regarding the customer rating of a conversation. Leads leads This table has information about the logged-out users or visitors of your application. Segments segments A segment is a group of users defined by certain rules and users are automatically added to the segment as soon as they match those rules. This table has information about these segments. Tags tags Tags are labeling for the users and companies. The table contains information about these Tags. User Events user_events This table includes the information about User Events in Intercom. Users users This table contains information about your users inside Intercom.